Variable Frequency Drives: How Can They be Operated Properly and Efficiently? NTT Inc. - Variable Frequency Drives: How Can They be Operated Properly and Efficiently? The motor control world is very confusing, especially due to the use of words interchangeably. 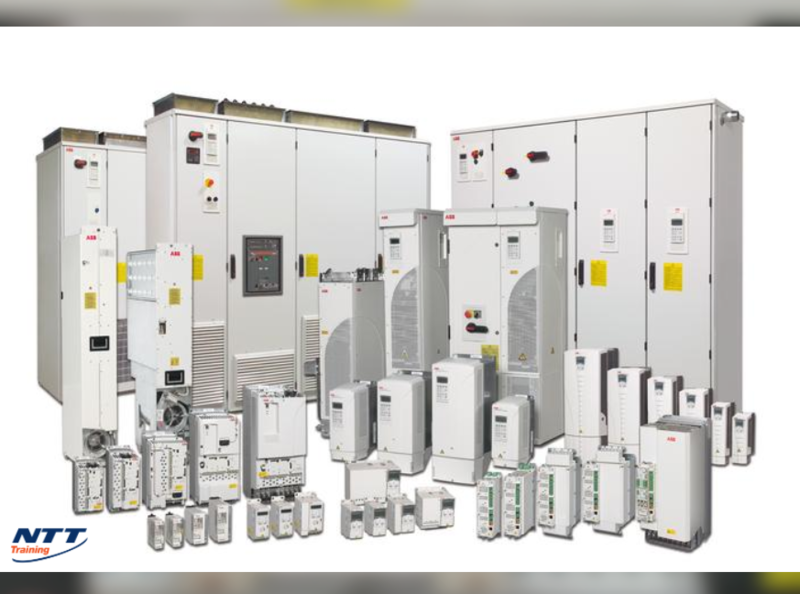 A VFD (Variable Frequency Drive) is also referred to as a variable speed drive, electronic motor controller, adjustable speed drive, or an inverter. A VFD is an electric device that powers an motor by regulating the frequency and voltage that is supplied to the electronic motor. Frequency or hertz is closely related to the motor’s rotations per minute (RPMs) which means that the faster the frequency, the faster the rotations per minute. Therefore, in case an application doesn’t need the electric motor to run at the maximum speed, the variable frequency device will be used to slow down the frequency and voltage, and adjust to the electric motor’s load. The VFD can turn the motor speed up or down depending on the application’s motor speed requirements. The dwindling price of variable frequency devices has made it possible for them to be used on swimming pool systems. Almost 40 percent of all the energy used by swimming pools is used by the circulation and filtration pumps that are responsible for keeping the pool water clean. Almost all crane and hoist manufacturers use asynchronous motors due to their high efficiency that is achieved with variable frequency drives. Saving energy and reducing CO2 emissions are some of the things that can help reduce global warming. Because HVAC systems consume more than half of the entire electricity used in commercial buildings, a highly efficient air-conditioning system with an advanced motor variable frequency drive can reduce the electricity consumed by 30 percent. The main production process in the petrochemical industries is through air compressors and pumps. Today, most of the air compressors, oil pumps, and water pumps available use a constant speed motor because the power usage varies mainly with the load capacity. This means the VFD can help you save a substantial amount of energy. Electric motors used in the pharmaceutical industry consume substantial amounts of energy, which is estimated to be over two-thirds of all usage. Even a simple air conditioning system in this industry that costs a few hundred dollars can consume tens of thousands of dollars’ worth of electricity over its lifetime. However, the variable frequency drives can help you save on your utility bills by controlling the motor speed. Keeping them clean: Variable frequency drives have side vents for cooling airflows that make them susceptible to dust which can reduce their airflow and performance. Dust on electronic devices causes malfunction and failure by absorbing moisture. Keeping them dry: VFDs rarely offer condensation protection. Therefore, if you operate your VFD on a daily basis, the normal heat generated from the heat sink is enough to protect it from condensation. However, if your unit is in continuous operation, you should use a sealed and dust-tight enclosure and a thermostatically controlled heater if the VFD is placed in a place where condensation is likely to occur (like near a dehumidifier). Keep all connections tight: While this is something obvious, checking connections is something most people take for granted or do incorrectly. Mechanical vibrations, heat cycles, and standard maintenance practices can all lead to substandard connections. Excessive tightening or retorquing screws can ruin connections. Poor connections lead to arcing of both input and output. Arcing at the input can cause overvoltage faults and cause damage to protective components. Arcing at the VFD output can cause overcurrent faults and damage to power components. Additionally, loose wiring connections also cause erratic operations, for instance, a loose speed reference cable can eventually cause fluctuations in the drive speed, which can result in machine damage, scrap, and injury. Are Your Employees Ready for Training? VFDs consist of a complex combination of power components and electronic circuits, and proper operation is greatly dependent on a number of exterior factors such as dirt, input voltages, heat, moisture and the load itself. Visit NTT Training Inc. today to provide your employees with training on how to maintain and operate your VFDs efficiently.